I've seen a lot of posts on Instagram and Facebook about comparison, and they always hit home a little. I am as guilty as the next girl of comparing myself to others. I always notice who is skinniest and prettiest when I'm in a group of other women, and I always feel like I come up short. I use the term "women" here lightly because I like to believe that women build each other up and love themselves, while girls tear each other down and have a hard time finding the good in themselves, let alone other people. I'll admit, most days I'm somewhere in the middle of being a girl vs. a woman. However, the exception to this is in my running. I have never compared myself to anyone else when it comes to my running. I run for me. 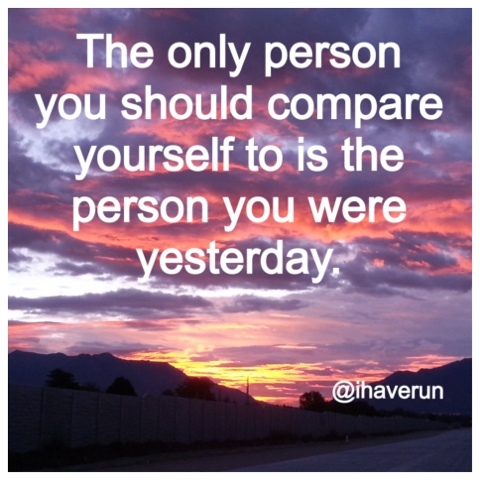 And the only runner I compare myself to is the runner I was yesterday. I am only competing with myself, so what would be the point in comparing any aspect of my running to another runner? Every time I go for a run, I am simply trying to be a better, stronger and, yes, faster runner. 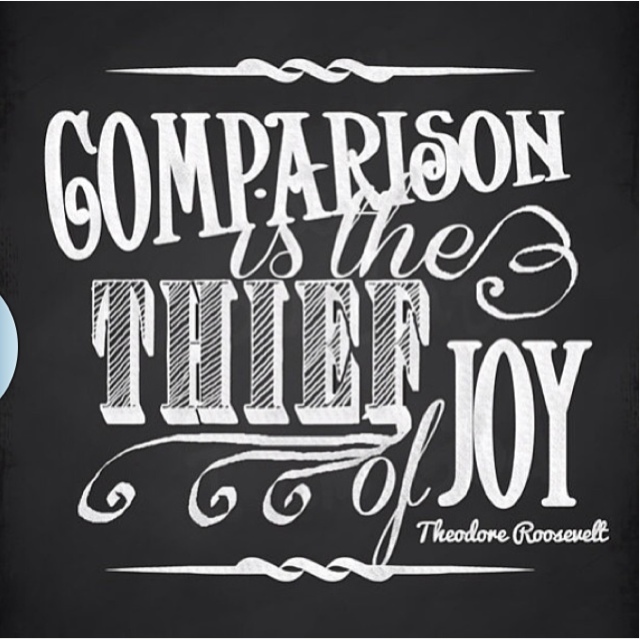 I truly believe comparison is the thief of joy. When I compare myself to other women, it doesn't ever make me feel better. I think many women do it in an attempt to make themselves feel better by comparing their strengths with others' weaknesses. This side of the female gender is the main reason I don't have a lot of female friends. I don't have the patience for the pettiness, cattiness and constant comparisons that come with too many friendships. I want to surround myself with people who make me happy and make me feel good, not because I feel prettier or smarter or better than them in some way. But because we lift each other up. We bring out the best in each other. And we make each other want to be better. The same goes for my running partners. I don't run with many people because my runs are for me. I only want to compete with me. I only want to compare my run with MY run from yesterday or last week. So I only want running partners who make me a better runner. And a better person. I feel very blessed to have several of these in my life. I believe, without a doubt, runners make the best friends. They are encouraging, supportive and honest like no other people. So I don't know why we do it. But we do. We constantly compare ourselves to others in so many ways. I only hope I can continue to do it a little less in my own life. That I can focus on being a person who empowers and encourages others and to love myself enough to find the good in myself and in others. Note: I wrote this post yesterday, right before my Bean broke her arm and I spent the rest of the day at the doctor's office and hospital. So the workout I mention...that never happened. And now you have one less day to enter the giveaway, so don't wait!! Why is it that the days I have no motivation or desire to do anything are the days I have the most to do? Sadly my lack of motivation coincided with my rest from running day. 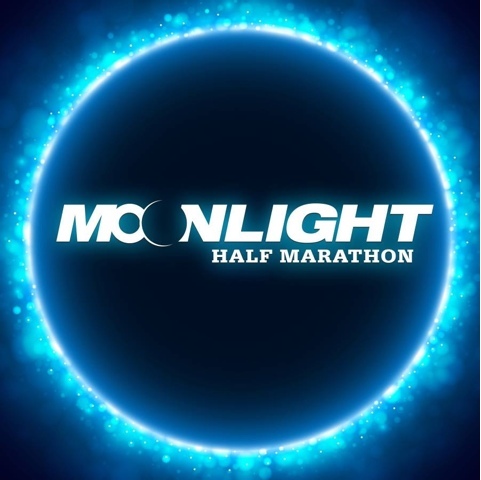 Running always helps move my day in the right direction and gets me moving, but instead of running, while my girls were both at school, I spent the morning at the doctor only to deal with insurance issues that made the appointment pointless in the first place. Eventually I will get off my booty and work out. Until then, at least blogging from my iPad while my little Bean hangs out on the couch next to me makes me feel a little like I'm getting something done. I've been meaning to blog for a while about a new product I recently tried. I am not normally a huge fan of supplements. I've thrown away tons of protein and energy bars that ended up expiring before I got around to eating them, and I have a giant tub of protein powder that has been open for months and only scooped from once. I would rather have a glass of chocolate milk than a protein shake and an apple or some other "real" food than an energy bar. But I was recently sent some samples of Frog Fuel to try. 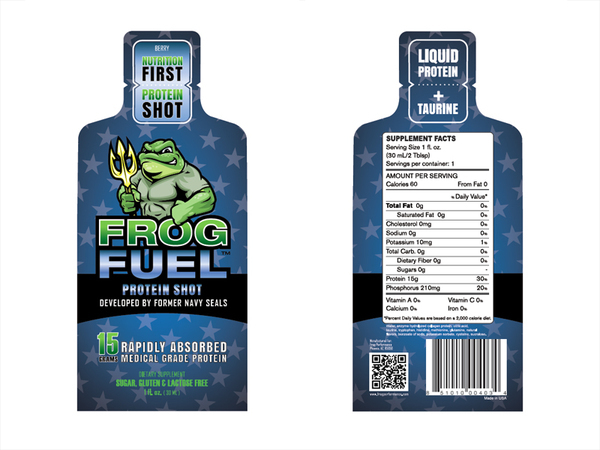 Frog Fuel is a liquid protein designed to increase strength, prolong endurance and accelerate recovery. 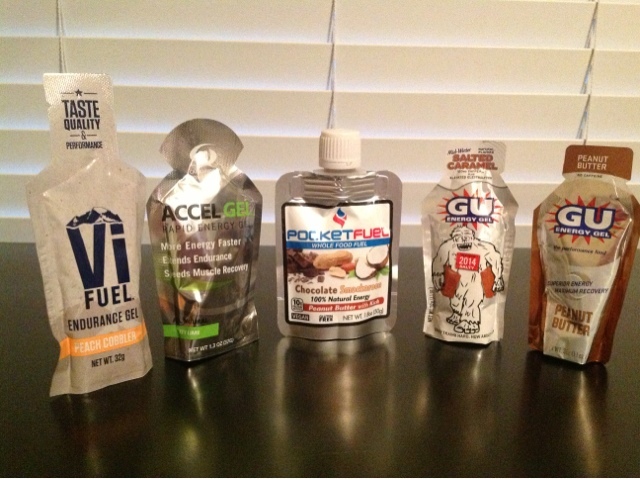 The little packets remind me of energy gels, which we all know are not my favorite thing in the world. So those little packets of Frog Fuel sat on my desk for several weeks. Then one day after I went for a run, I was feeling a little sluggish and trying to get some work done. I decided to down one of the berry flavored protein shots. It was yummy. Just tart enough that I didn't gag at the sweetness like I do with gels. And the texture...NOTHING like a gel. It is very much LIQUID protein. And in one 60-calorie swallow, I had ingested 15 grams of rapidly absorbed medical-grade liquid collagen protein. 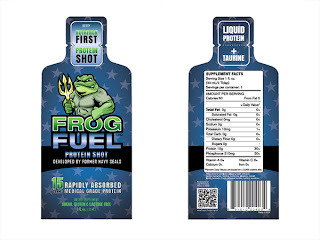 You can find out even more about what makes Frog Fuel great HERE. I was going to add the other pack to a smoothie but ended up downing it in one quick gulp after another run when I didn't have time for my usual recovery chocolate milk. Frog Fuel is a great way to get some extra protein in your day and really is a product I feel good recommending. So I'm also excited to be able to give some away. 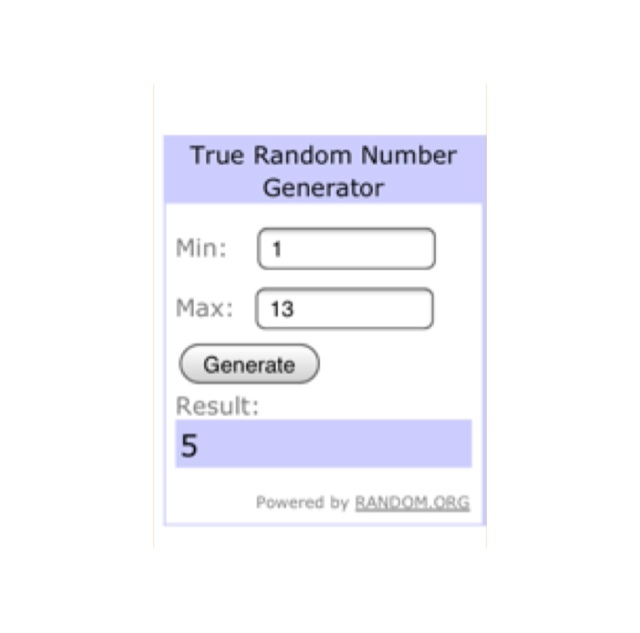 You can win a Frog Fuel tasting pack! All you have to do is leave a comment here or on my Frog Fuel Instagram post letting me know your favorite way to get some extra protein in your day. 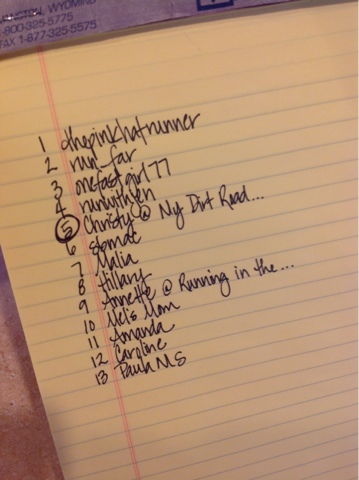 The winner will be announced and/or notified on Monday, August 26 so get your comments in!